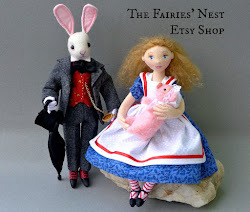 The Fairies Nest - OOAK Cloth Dolls & Fiber Fantasies: Attack of the Giant Beetles!!! I have my nephews visiting this week so not much work is getting done on dolls, but it's a good thing they were here to do some beetle wrangling for me 'cause as you can see we've been infested with giant beetles lately. Here's a peek at some of the new work in my shop. 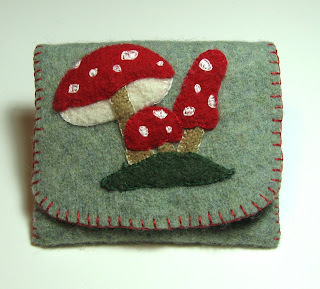 I re-did this wallet and gave it a really pretty mushroom print lining. 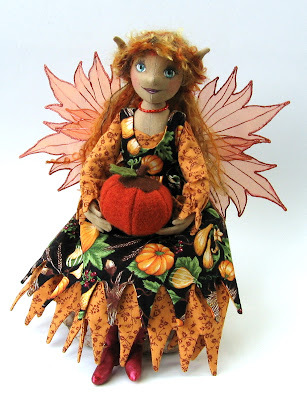 Annona, the Fall harvest fairy, with a pumpkin made of recycled sweater felt...Love that stuff!! Oooh! I like that recycled sweater felt too. 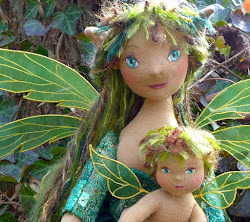 the dolls are beautiful..you do such wonderful work. 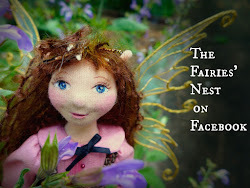 Hello.....Fairiesnest (it occurs to me that I don't know your name)......Love your work - all of it. I saw the comment you left on my blog about the needle-felted animals - really you should give it a go...it is absurdly easy to do, but one little hint - you might think that superfine wool would be best to use, but I have found that slightly coarser wool is much easier to felt in this way. 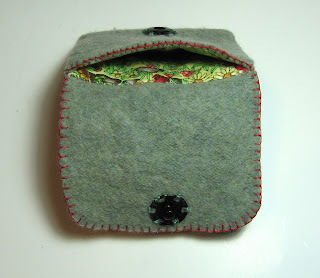 You can use finer wool to add colour to the surface once you have felted the basic shape. The only down-side of the technique is the risk of finger injury! I'd like to add your blog to my list - do you mind if I do that? I see the monkey boys wrangled that beetle into submission. I love the added touch of the lining in the change purses, by the way! 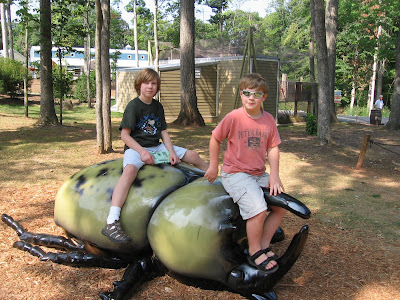 Those are some mighty beetle wranglers! 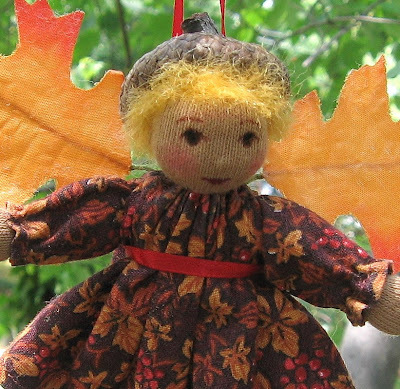 I love that little mushroom purse and the Fall Fairy is wonderful - you're so talented! oh, and if i were you i'd make sure those beetles can't come in!